A fully automated die-casting cell for structural casting in the Liberec plant. 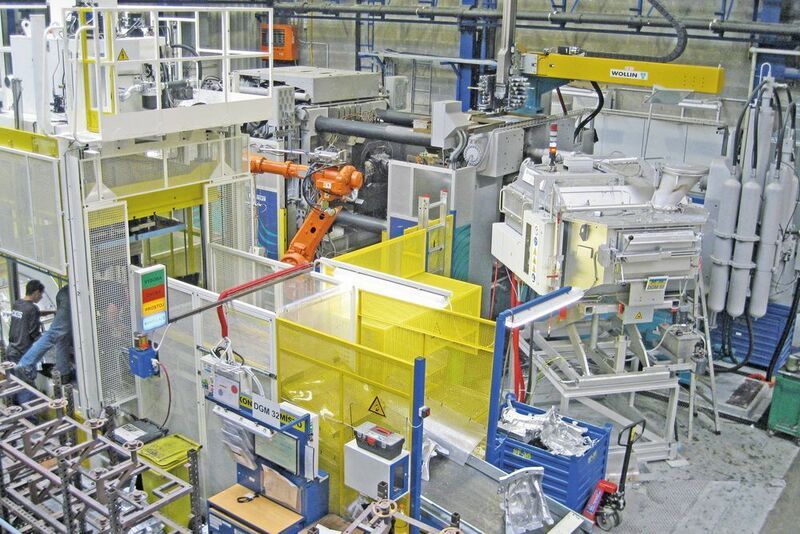 The Bühler Carat die-casting machine is at the rear, in the middle of the picture. In front is the robot that removes finished castings. On the right is the automatic charging furnace, and on the left is an automated punch press. On the conveyor belt is a punched cast part.